Bakes, Bikes and Boys: What's for tea? William received a copy of Jamie's 15 minute meals for Christmas and has been trying out some of the recipes. He made the Thai Chicken Laksa which was delicious. We had never heard of Laksa before but it is a mildly spiced noodle squash broth. William went through the recipe first to see what additional ingredients we needed and wrote a shopping list for me. Armed with my list of ingredients I set off to the supermarket, the only ingredient I couldn't find was the dried kaffir lime leaves so we missed those out but it still tasted delicious. The chicken had a coating of honey, sesame seeds and Chinese five spice and was very tasty. We we definitely be making this again. 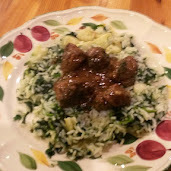 The other meal he has made is the Swedish meatballs with celariac and spinach rice. Both me and Mark enjoyed these but William and Luke weren't keen and ended up having fishfingers! 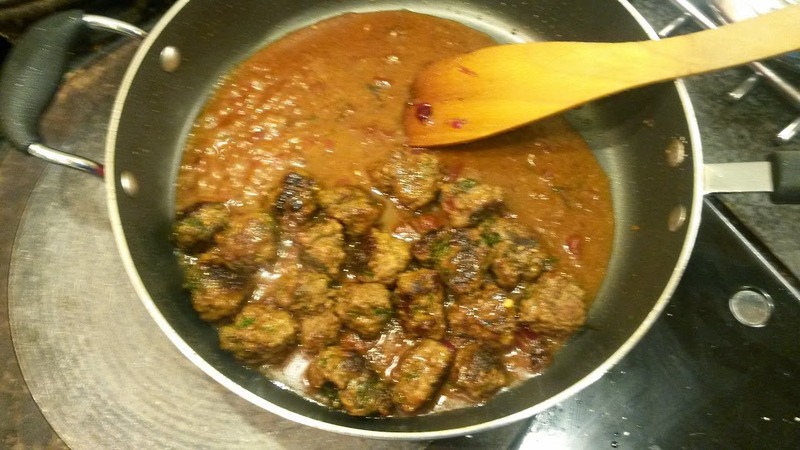 The meatballs were flavoured with dill which had quite a strong taste and this put the boys off. I think next time we make this we won't put the dill in. 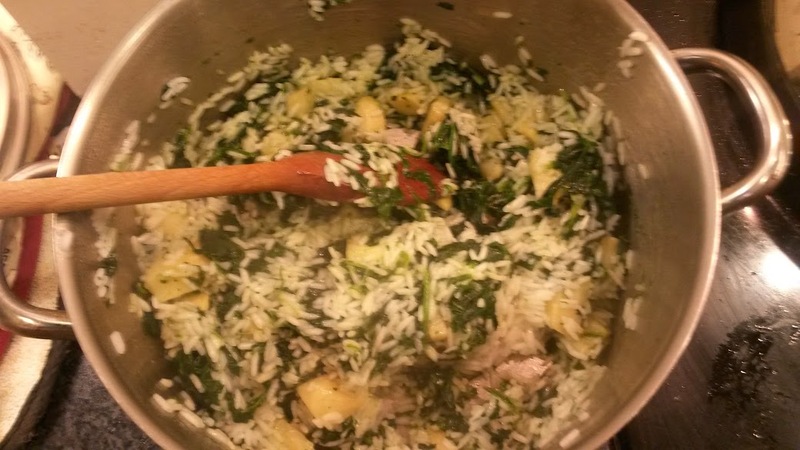 We have never tried celariac before but it was really nice with the rice and spinach. The one thing we did notice was that the meals took much longer than 15 minutes to make! I suspect that as William gets more familiar with the style of recipes he will speed up but at the minute he is allowing plenty of time to make them. He is adding notes in the recipe book as to what changes he will make next time. 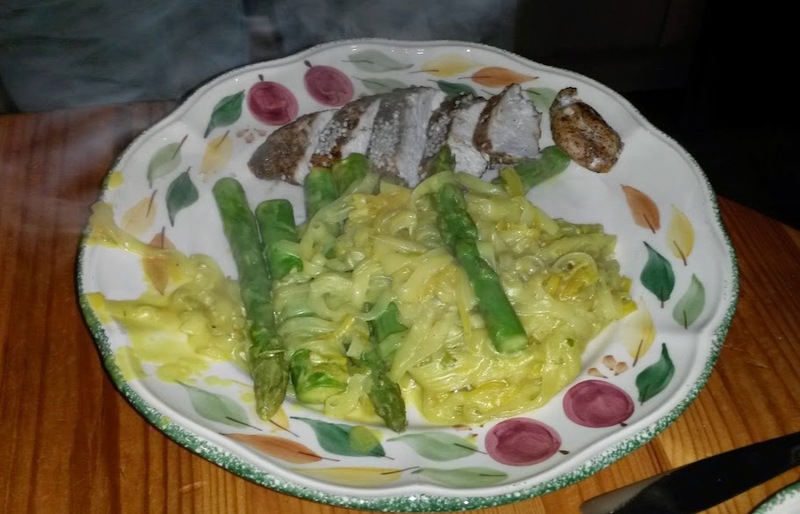 He is enjoying cooking and it is nice to try some different meals.